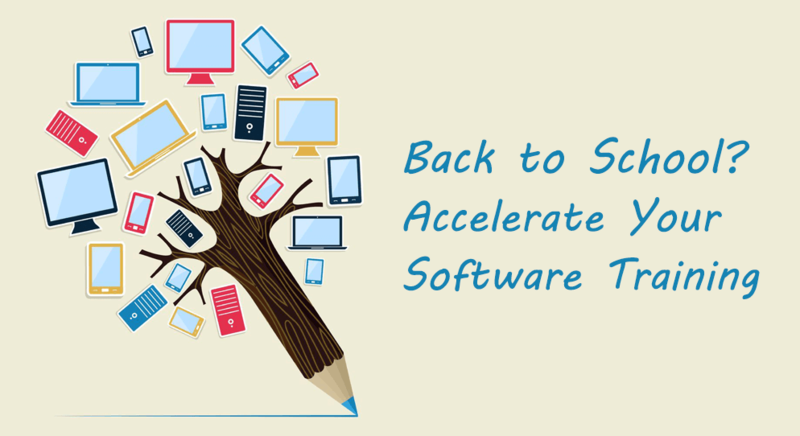 Back to School: A Good Time to Freshen Up Your Software Training Program! The crazy summer days are at its end. Kids are back to school, students back to college, and presumably, employees back and fresh for training. Yes, going back to school may be a relief for parents, but not all students and teachers come back ready and raring to go, and that applies to the corporate world as well. But look at it this way – what better time to gear up and start making a ‘killer’ annual software and technical training program to wipe that sleepy look on your students’ faces? Admittedly, making a technical training program is not exactly your average history course – in technical training you have to keep updating the program to incorporate the newest product developments and to configure new training lab environments. And who likes asking the IT folks to adjust your virtual training labs – again? Every training professional knows that giving practical, engaging software training depends on your content and your delivery platforms. You need to deliver real world, hands-on training to provide your students with the skills they need. That’s why you need a platform to support your teaching needs, such as chat and over-the-shoulder barge in capabilities, and you need technical features that make it easy to quickly change, add, remove and update your virtual training lab yourself. Why is technical training more challenging? So, how do you do all that by yourself? Don’t worry; you don’t need to become an IT genius. There’s an easier way to train your employees on the latest tools and technologies. Today you can freshen up your technical training program without a splitting headache. A virtual training labs platform that offers prebuilt training environments, quick VM imports for VMware and Oracle VirtualBox machines, and automated invitations and policies, enables you to easily enrich your curriculum with fresh content and new practice experiences, just like that! If you expect to achieve a memorable student experience in your next annual training program, you better have the virtual training labs to support all types of training – from instructor-led training in onsite classes and large events, VILT, self-paced courses, and all the way to certification testing. Your cloud-based training labs should allow you to start quickly and scale up as you go, easily, without having to turn to IT every time you need to add a new feature. You should work on a reliable platform that provides various readymade IT templates (with licensing included) and facilitates the creation of templates for your custom machines, allowing you to set up complex environments in minutes. It can be that easy! We know it takes a lot of effort to make your training truly effective. You have to make your content engaging and relevant to the business; create training sessions that are interactive, motivating and practical; be able to give each student your full support, etc. It makes no sense for trainers to be focusing on admin and technical configurations when they should be concentrating on the most important task – teaching. A platform that provides REST API and pre-integration with Zapier can let you easily connect and automate processes across your LMS and other training applications, so your team can be lean and super-efficient, able to spend their valuable time on creating the best content, rather than on duplicative data entry and administrative efforts.